These are a few images I took of the people in Damascus a couple of days after the riots in Daraa. My second visit, part of the Arab Spring journey, was to Syria. I arrived in the beautiful Damascus 2 days after the first reported incidents in the southern city of Daraa. Syria reminded me of contradictions and the incertitudes of the first revolutionary moments. The majority of the country was to afraid to dare dreaming of a long waited and deserved change. While they where in denial, fewer, but more and more every day, where challenging the regime and paying with their lives. 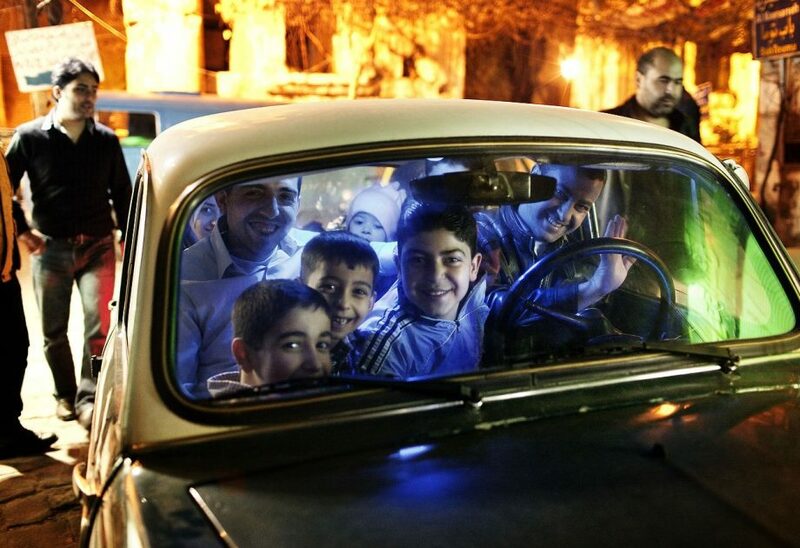 Syrian family in their car on the streets in old Damascus, on the evening of March 29, 2011. On March 23, at least 15 people where shot dead by security forces in the city of Daraa, approximately 100 km south of Damascus. Later, the governor of Daraa was dismissed and the Syrian government resigned. The measures failed to put an end to the protests, more cities joining the demand for emergency law abolition, freedom for the political prisoners and the punishment of those responsible for the killings. 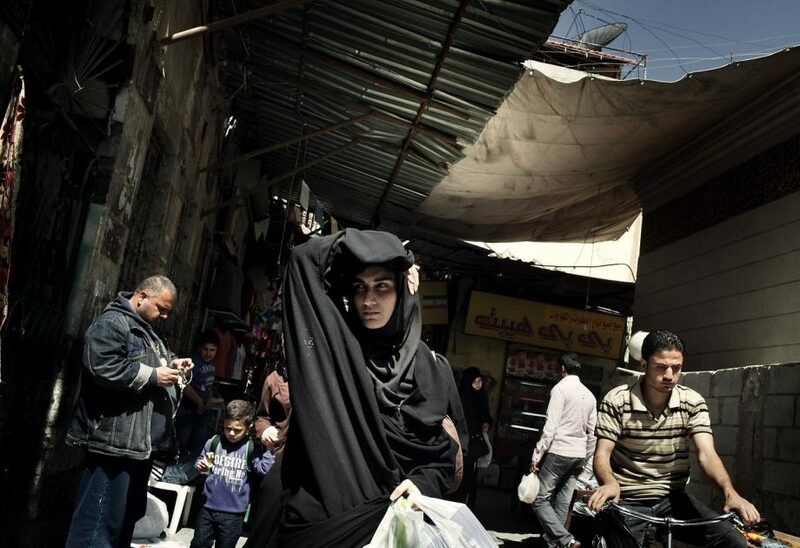 Iranian woman, near S. Roqaya Shrine in old Damascus, on the morning of March 28, 2011. On March 23, at least 15 people where shot dead by security forces in the city of Daraa, approximately 100 km south of Damascus. Later, the governor of Daraa was dismissed and the Syrian government resigned. The measures failed to put an end to the protests, more cities joining the demand for emergency law abolition, freedom for the political prisoners and the punishment of those responsible for the killings. 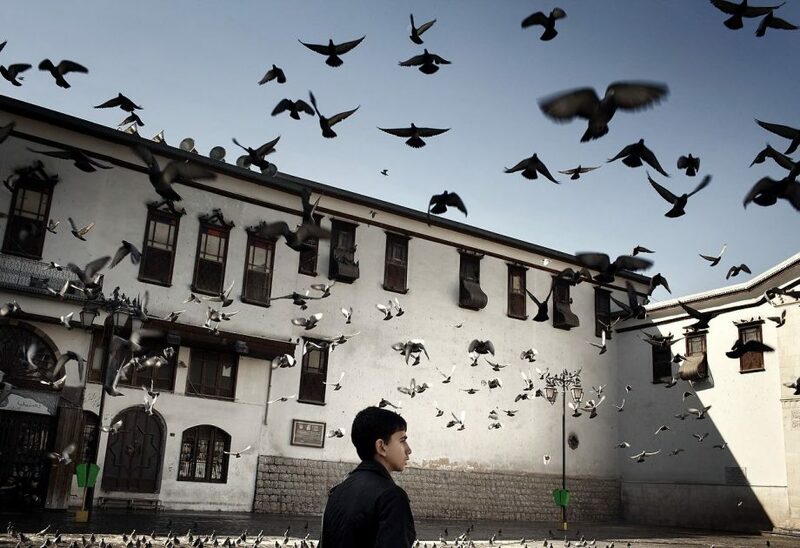 Young boy watches pigeons fly by in a square near Souk Al-Hamidiyeh street in old Damascus, on the morning of March 28, 2011. On March 23, at least 15 people where shot dead by security forces in the city of Daraa, approximately 100 km south of Damascus. Later, the governor of Daraa was dismissed and the Syrian government resigned. The measures failed to put an end to the protests, more cities joining the demand for emergency law abolition, freedom for the political prisoners and the punishment of those responsible for the killings.